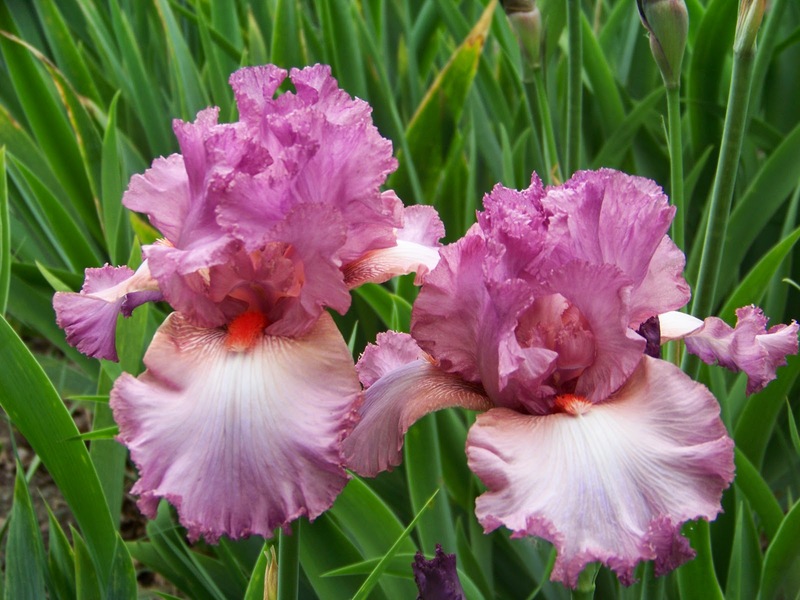 The 2014 TALL BEARDED IRIS SEASON was the best for me in recent memory. 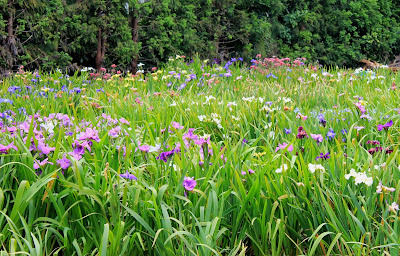 I divided nearly all of my irises last year, and wasn't expecting a banner year, but their increase and bloom was more prolific than I have seen for several years. The weather in the top of Utah was ideal for them to establish a good root system in the fall, and the hard freezes in late winter and early spring came before there was damage to the buds, as had been the case the past few years. The new rhizomes I planted had a 95% bloom success--unheard of in my experience with new plantings. 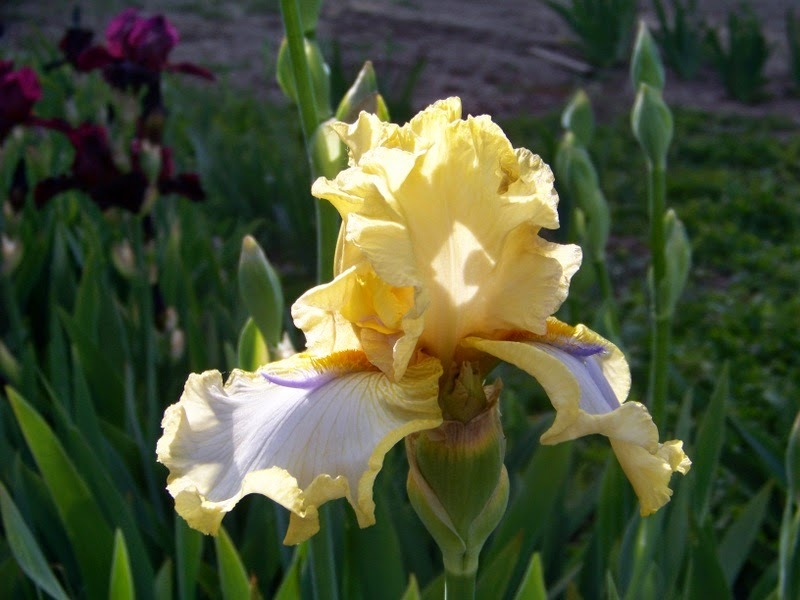 Although I was very happy with these new irises, sometimes first-year blooms aren't indicative of what kind of plant it turns out to be. 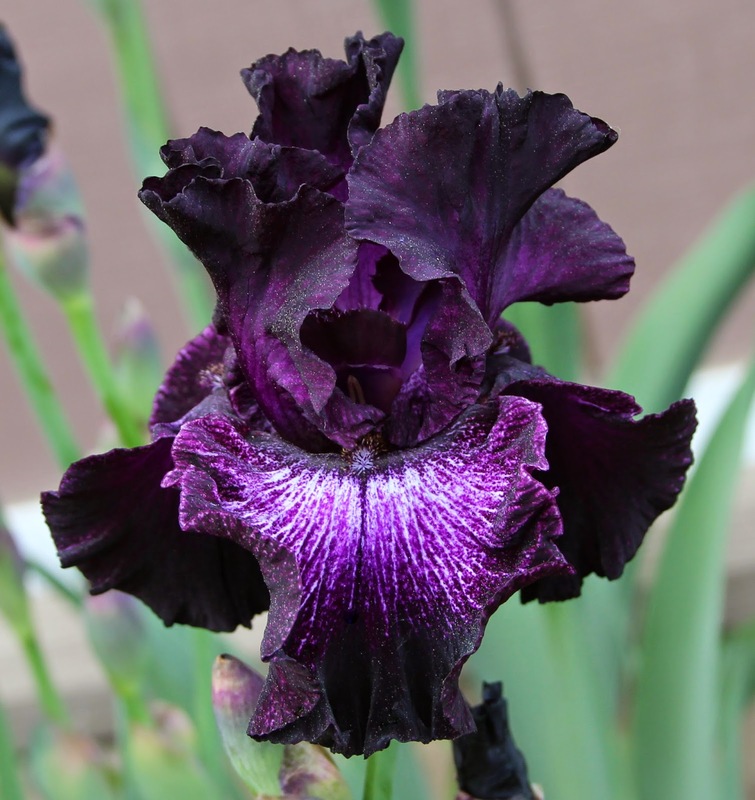 I usually need to wait a few years to know important factors such as hardiness, vigor, and dependability in bloom. These are some of my favorite first-year blooms in 2014. I hope so, they were beautiful this year. Renee suggested that I might share some of this year's surprises. The biggest and best surprise was recovery of an introduced variety that I thought had been lost. Two years ago, I dug and lined out La Cumparsita, introducing it in 2013. Luckily, before I sold any of it, it bloomed in two convention gardens and wasn't the right flower. I saw photos and was mystified until some of the lined-out plants bloomed in my own garden and also were the same nondescript purple seen in the photos. Clearly, the marker had been switched before the digging, probably during weeding, and an adjacent clump had been dug. I was tempted to rip out the whole planting, but, since some of the lined-out clumps hadn't bloomed, I tossed only those that had bloomed and left the rest in place. This spring, two of those which had been spared bloomed and were La Cumparsita! It will take a couple of years to build up stock again, but I said to some of my fellow irisarians that if nothing else good happened this year, it was still a good year! 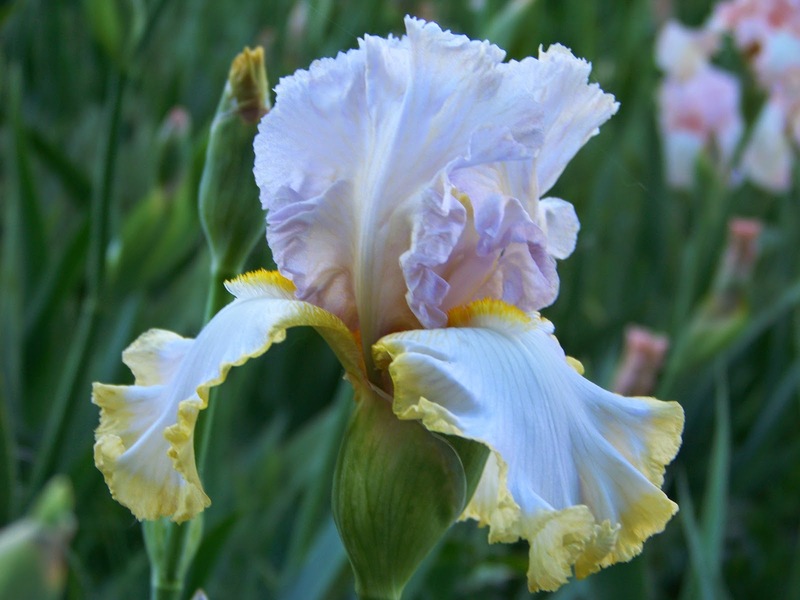 Other surprises were winning Best Seedling of Show at the Fredericksburg Area Iris Society's spring show, the Chesapeake and Potomac Iris Society's spring show and the Region 4 spring show at Timonium, Maryland. At the Regional show at Timonium, I counted on the judges adhering to the judges' handbook, which requires only one bloom to be open on a seedling. Although I must admit that I was surprised by my wins at Fredericksburg and Winchester, I felt that my entry at Timonium was a real winner, but would the judges vote for an entry which had only one last bloom and the shriveled remains of the other eight buds drooping from its branches? Yes! They went by the book and chose it. This is a product of Coffee Whispers X Blackbeard's Daughter. It's a dramatic introduceable, and I'm looking forward to good things following from it. Finally, a modern form is achieved. At the right moment, all three forms are displayed on the branches. If this seedling prospers and blooms true to its initial performance, it will be quite interesting. 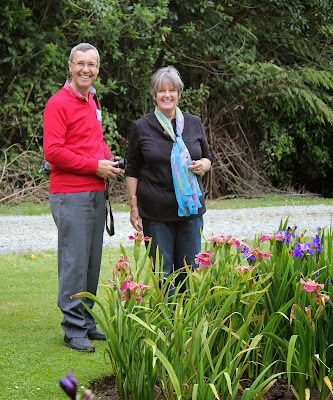 On May 31st of this year we enjoyed some visitors to our iris garden. There were about 20 members of the American and Utah Iris Societies. They took pictures, smelled the aromas, looked at the flowers and "talked iris." I invited our guests to come in the house when they were done in the garden to have some chilled bottled water. 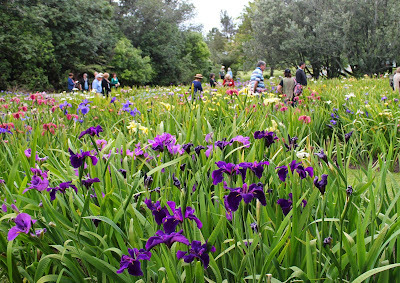 I asked one of the gentlemen if he particularly liked any of the irises and he replied that he had made a list. 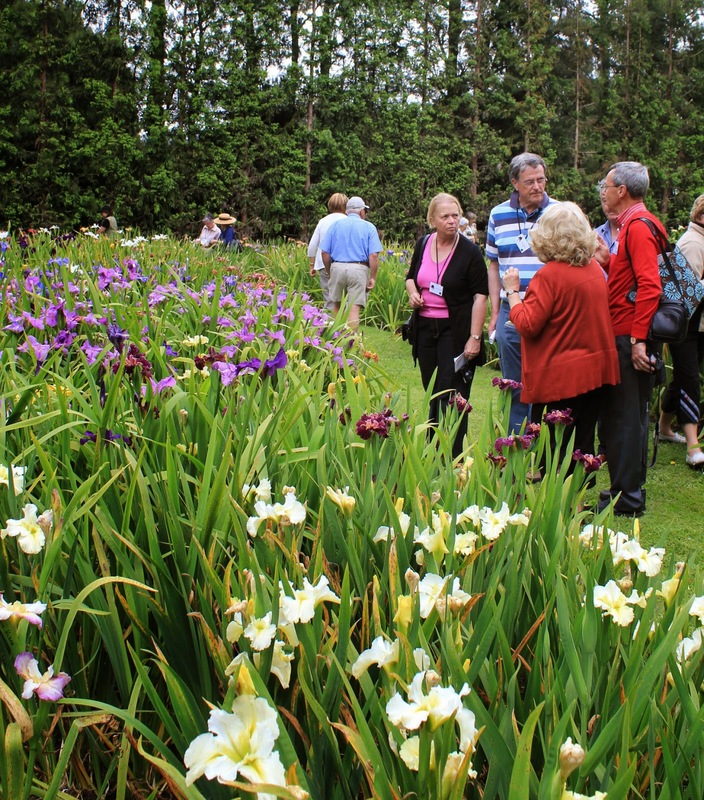 He was interested in those irises that were 30 years old and older. According to him, that is how old they had to be to be considered "historic." It was at that moment that I realized how many I had that fit into that category. I hadn't looked at our irises that way. 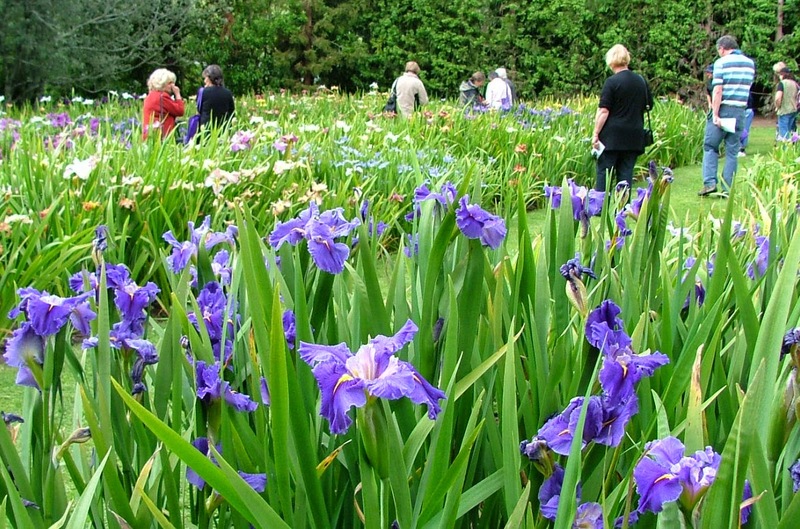 We have been growing irises since the 1980's and many were several years old when we bought them. 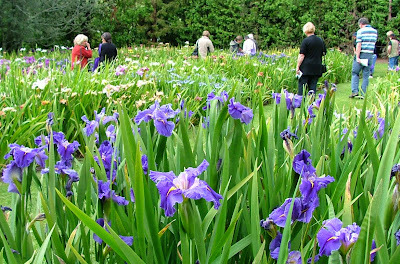 That visitor made me look at my irises in a new light. I would like to share some of my favorite "oldies but goodies." here today. This bitone shows nice ruffling on both the falls and the standards. This self has rich blue color and contrasting white beards. 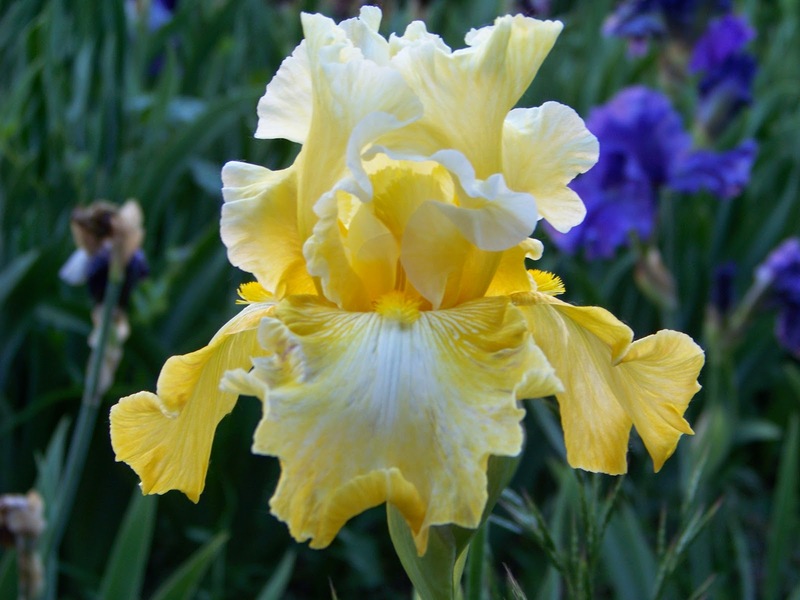 Despite its age this iris has graceful ruffling and good branching. I like the subtle coloring of this lilac, white, and chartreuse (green and yellow) bloom. 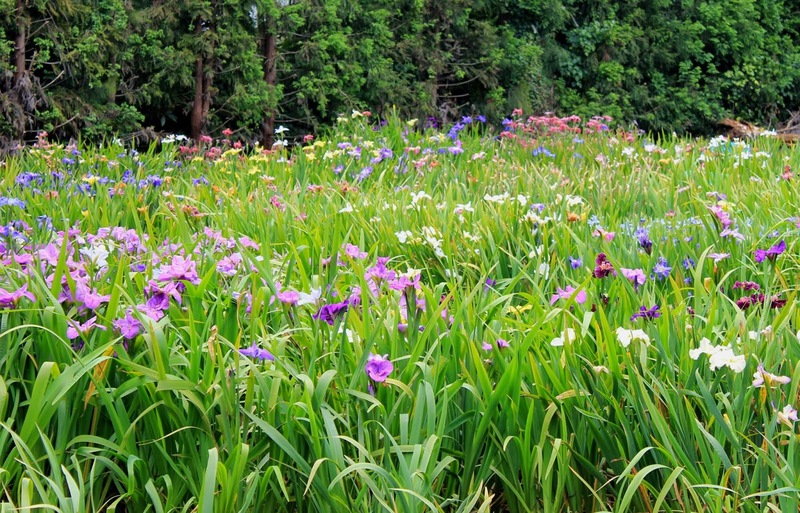 I don't advocate ridding the garden of new irises to plant only older varieties. But there are lots and lots of beautiful older irises that we should protect and not get rid of just for the sake of having something newer and marginally better. 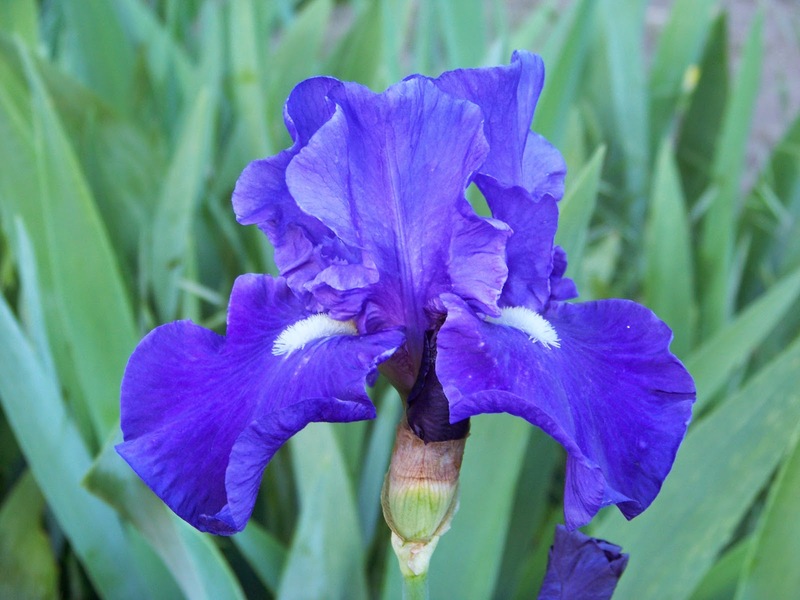 I grow the newer irises too and they are wonderful, but I have the luxury of plenty of room to put in the new ones without getting rid of the old ones. If you don't have the space for both old and new then you have a hard choice to make. 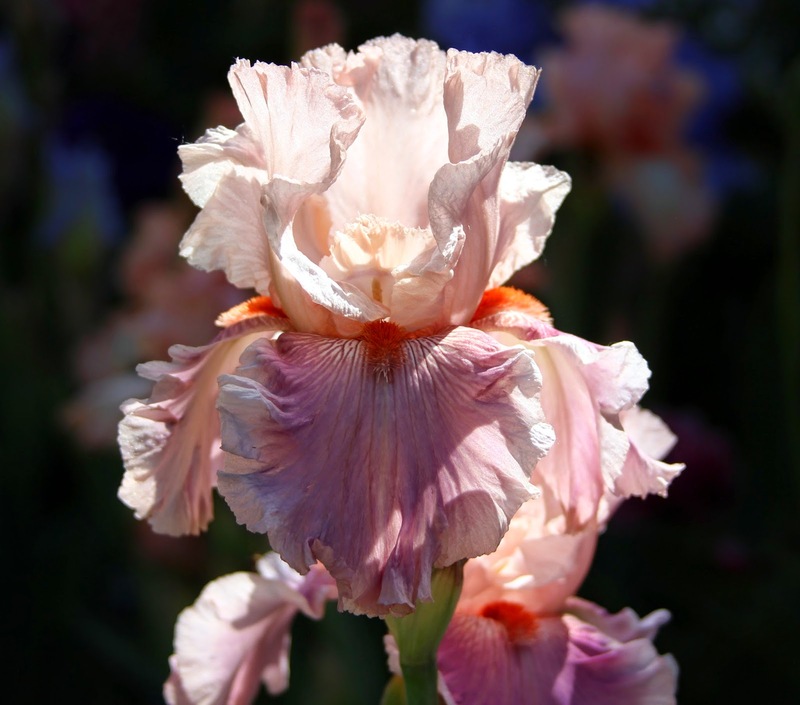 This amoena has little ruffling or lace but has an elegant color combination. 'Heather Cloud' (B. Hammer) has much the same color combination as 'Celebration Song'. This is one of my last to bloom and still surprises me with its beauty. This one doesn't increase well for me but I like how unusual the colors are. Blooms and blooms here and increases yearly. This one is not a big bloom but has beautiful form and color. There is nothing old fashioned about this bloom. A 35 year old plicata (stitched or stippled margin color on white or dots or peppering). Lots of color contrast in this plicata. 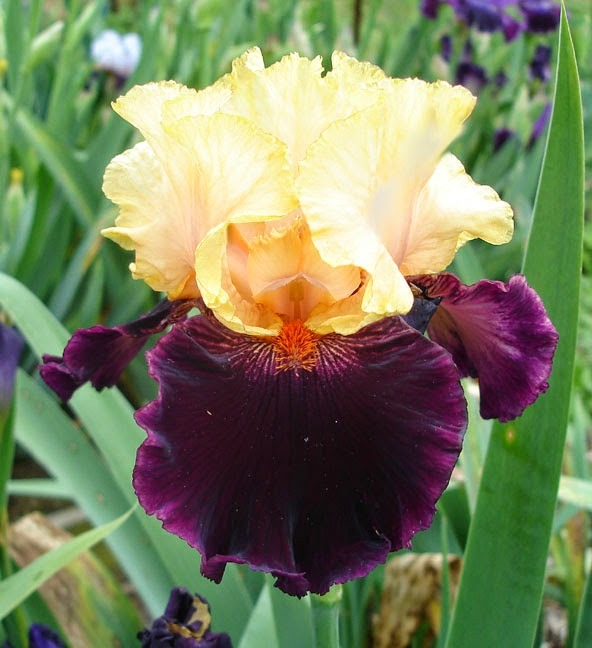 What are some of your favorite older irises? If you have limited space, how do you make the decision on which ones to grow? 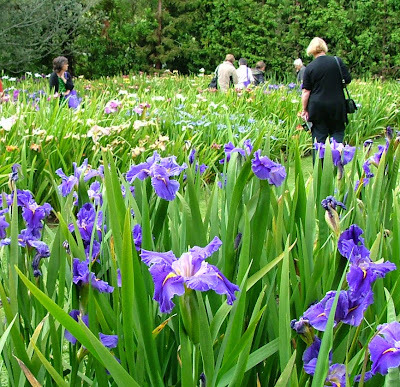 How do you choose your irises? 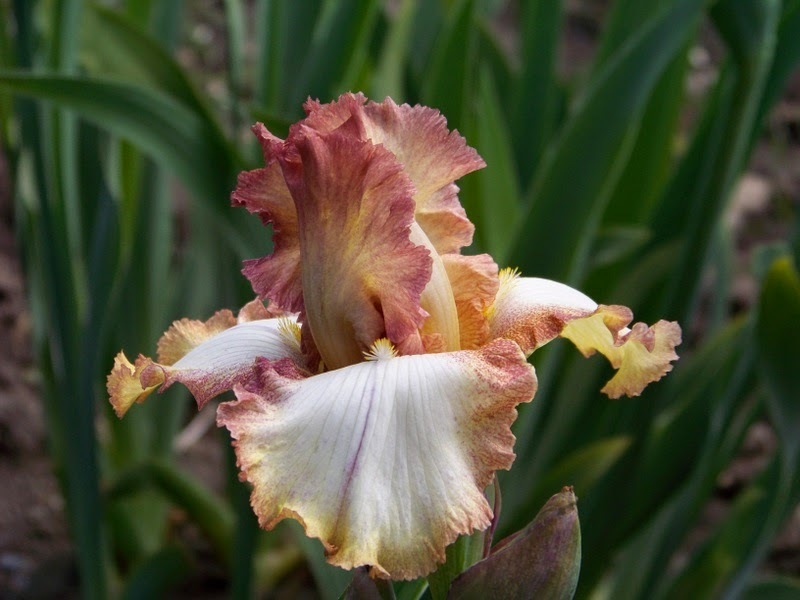 Is it based on color, form, time of year it blooms or by the hybridizers and the year? 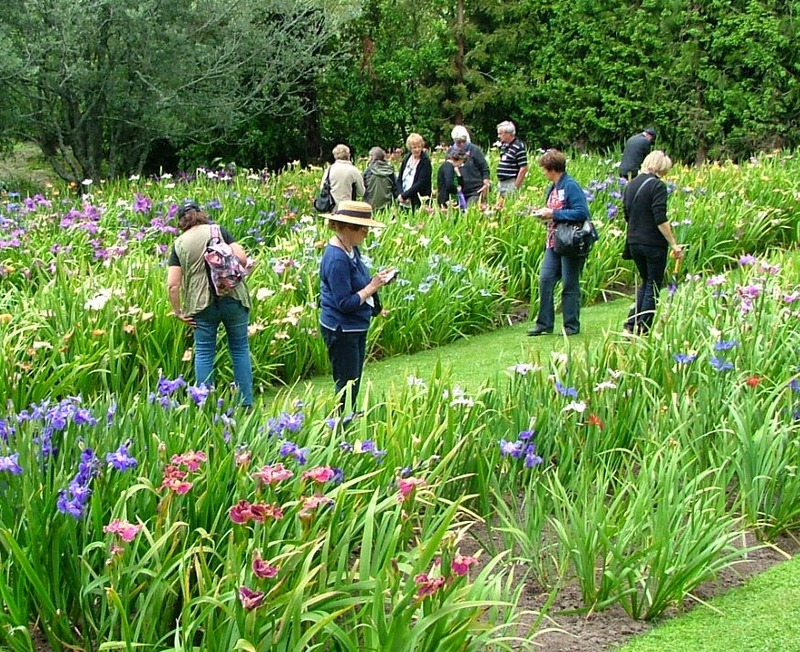 Is it by hardiness or cost? 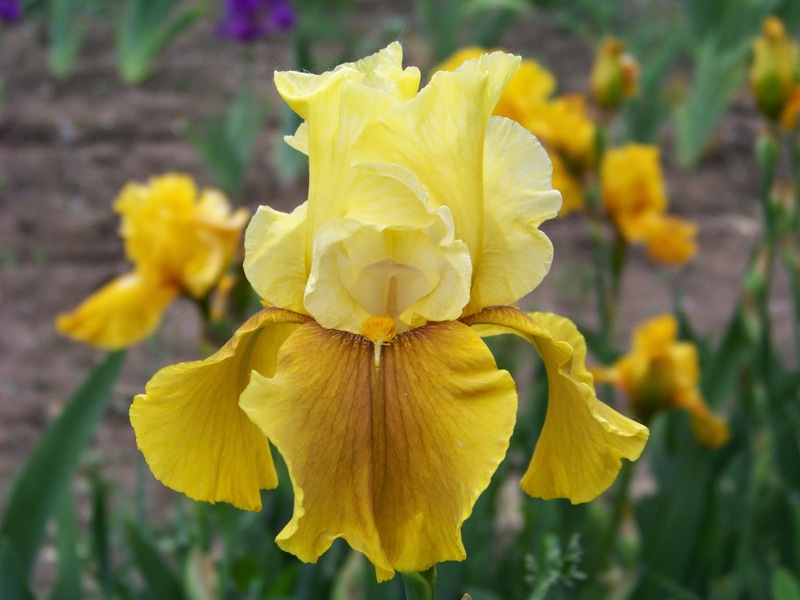 In the past I have just chosen irises based on color and form but I am learning to pay more attention to the name of the hybridizer and the year it was introduced. It is a surprise to me that I have chosen so many historics. And remember, each year more historics are added to the list! The views expressed in this blog are solely those of the author and do not necessarily reflect those of the staff of World of Irises or The American Iris Society. Please respect the right of contributors to articulate their opinion in a meaningful way. The core of Social Media is to encourage engagement with readers, so discussions of all topics are welcomed in the Comments Section.